The transmission rebuild experts at Transmission Technicians in North Massapequa, NY are here to restore your vehicle’s transmission to optimal performance. When you have our specialists monitoring and servicing your transmission you’re able to avoid any expensive repairs. If that day should come, rest assured that our team will restore your transmission to its original condition. We use the best quality part replacements for our transmission rebuild services. Transmissions are vehicle components that are often misdiagnosed by inexperienced mechanics. 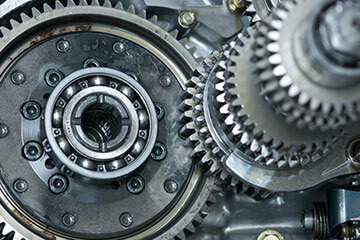 You can avoid wasted time and money by bringing your transmission to our experienced technicians. Vehicle owners come to us with a variety of questions about their transmission. There’s not a transmission problem that we can’t fix. We find the source of your transmission’s poor performance by using our state-of-the-art diagnostic equipment. Our transmission rebuilds are performed as the best course of action for your vehicle’s performance. When you need your next step to be a correct one, trust our transmission rebuild specialists. Owners should be aware of all of their options for transmission services. You may not need to spend as much money as you think. Transmission Technicians will always steer you in the directions of safe travel, enhanced performance, and affordable services. Many other repair shops can fail to give you all the options available to you, and only offer the most expensive. There are a lot of answers out there, but only one solution for your transmission rebuild service. When we diagnose a transmission and decide a rebuild is necessary, you can trust that it’s the best option for your vehicle. Our team is able to provide you with the best possible transmission rebuild services. We use the best quality parts, keeping all of our transmission services at an exceptional level. If you believe you need or have been told that you need a transmission rebuild, you should come see us for the ultimate second opinion. Give us a call at (516) 798-7600 to schedule your next transmission service appointment. If you need a transmission rebuild, there’s no place your car would rather be.